ItemI-01528 - Display Window Terry's Drugs, Victoria. 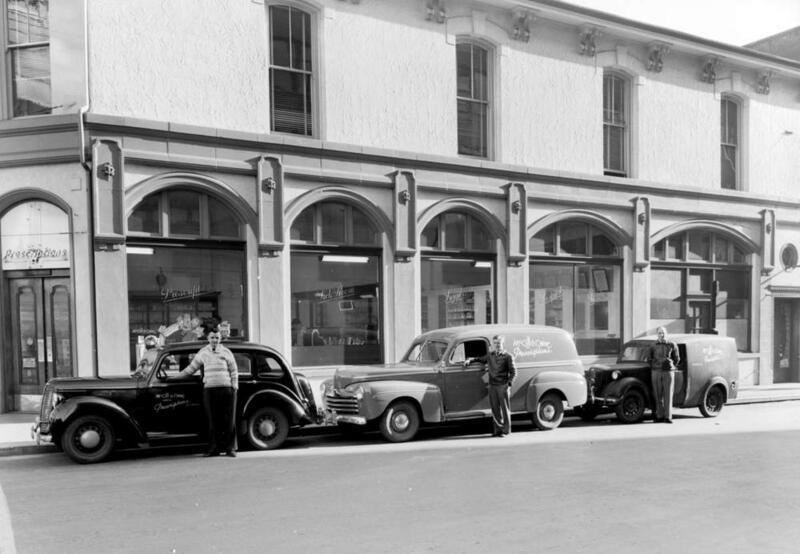 Item G-05010 - McGill and Orme delivery trucks, outside the store; Victoria. McGill and Orme delivery trucks, outside the store; Victoria.